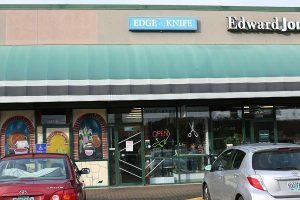 Edge-N-Knife has been providing fine cutlery and knife accessories to the Eugene-Springfield area of Oregon since 1986. Our experienced staff has the expertise to assist in choosing the right tool for your job or trade. Our owner, Ted Ruiz, began his career as a butcher, chef and meat cutter. This experience, along with his passion for hunting, exposed him to many quality knife brands. As a chef who needed to keep his tools sharp, Ted became an expert at extending the life of a knife. Over the years, he has developed that skill to perform his professional knife-sharpening services. 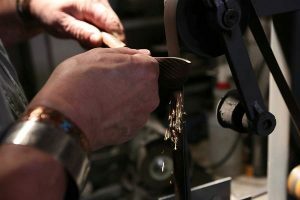 We provide sharpening for dulled knives and a variety of other types of blades. 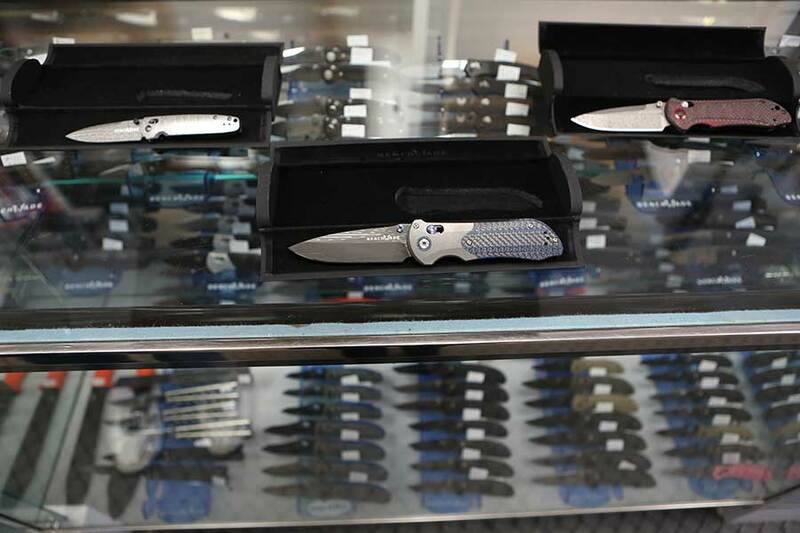 Edge-N-Knife is different from other cutlery and knife stores in Eugene because of our variety and selection. With well over 1,000 knives for purchase, as well as knife blocks, sharpening stones and accessories on hand, our customers have an array of options to choose from. Explore the high-quality German-made kitchen cutlery from Messermeister. Or try a tool from one of Oregon’s local brands, Benchmade and Kershaw, creators of fine hunting knives and tactical blades. We offer also beginner knife-making kits and parts, throwing knives, scissors and more. Our knowledge of different steels, knife manufacturers, knife locking and opening systems, handle materials and knife applications is unparalleled in Eugene. We will ask the right questions to help you find the right knife for your intended use. Edge-N-Knife offers collector’s items as well as everyday knife tools. We can special order products from any of the brands that we carry. There is no sales tax on any of our products, and special discounts are available for collectable and discontinued limited-edition styles. Edge-N-Knife is happy to complete minor repairs, so customers may feel free to bring damaged knives and tools in for inspection. Complex repairs will need to be completed by the manufacturer, subject to their warranty. Knives may be sent directly to the manufacturer for warranty repairs. Knives may be returned to Edge-N-Knife only if unused within 30 days of purchase and accompanied with a receipt. Returns are subject to a restocking fee. All returns are subject to inspection by the Edge-N-Knife staff and compensated with instore credit. Automatic knives and butterfly knives are all final sales. These knives will not be accepted for return at Edge-N-Knife. If the knife needs to be returned for warranty service, please return the tool directly to the manufacturer. Collector and limited-edition items are non-refundable and not eligible for return. Exchanges are accepted upon inspection by Edge-N-Knife employees, only if the knife is unused and undamaged within 30 days of purchase and accompanied with a receipt. Instore credit will be provided for all exchanges. Automatic knives do not ship out of state, and are not applicable for return. Tue-Fri 10:30 a.m. – 5:30 p.m.